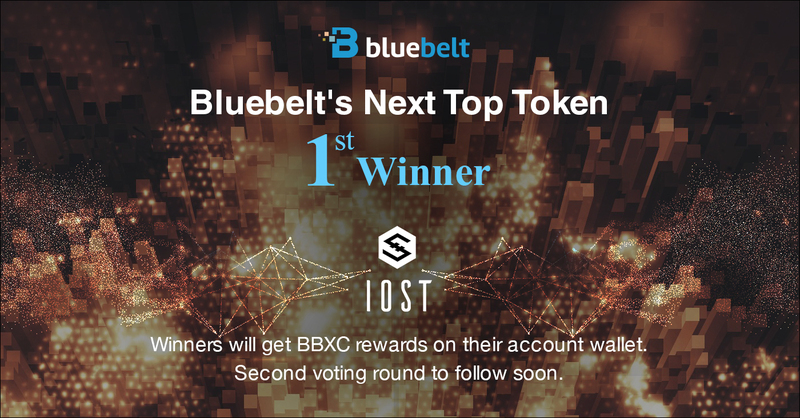 HomeCompany NewsCongratulations to all the Voters of the Winning Bluebelt’s Next Top Token Vote to List: IOST! The first round of the Bluebelt’s Next Top Token Voting Event has been concluded. We are thrilled to announce the winner of the First Round Vote to List: IOST! IOST has been awarded a listing placement on Bluebelt Exchange. After IOST wallet integration has been done, we will list IOST against USD, EUR, JPY and some local minor fiat currencies as IDR, PHP, VND, etc. Before anything else, we would like to thank each and everyone who participated in the voting event. It has been a thrilling and exciting one since all who participated will receive rewards from Bluebelt. The voters of the winning coin will receive additional 10 BBXC as a reward. Please check the list below for the list of winners of the First Round of Bluebelt’s Next Top Token Voting Event.